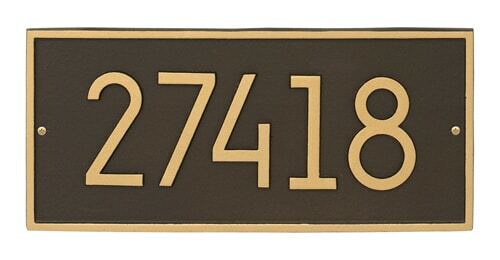 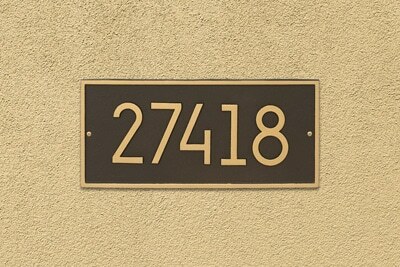 Shown in Aged Bronze, the Hartford rectangle wall address plaque displays up to five 4” modern address numbers. Choose from 7 different finishes and accents. 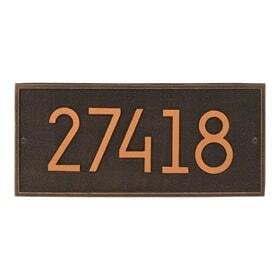 The Hartford rectangle address plaque comes with Whitehall Manufacturing’s industry leading 5-year warranty. 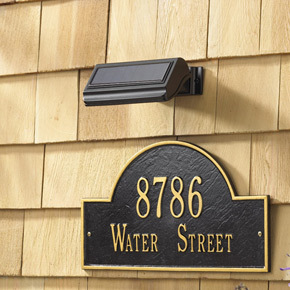 Features Whitehall Manufacturing’s new Alumi-Shield coating that helps protect against harsh weather and environmental elements while extending the life of the product, and maintaining an attractive appearance for years. 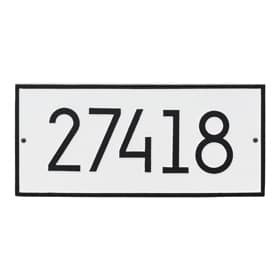 Heavy-duty powder coated finish is designed to help the Whitehall Hartford wall address plaque withstand any weather condition. Optional solar lamp available to help illuminate you home address numbers on this Hartford house address plaque. 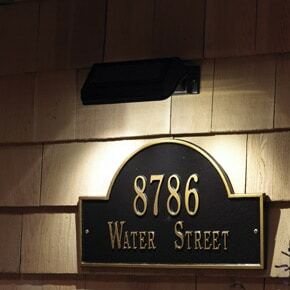 Solar lamp designed to automatically turn on at dusk and off at dawn, staying brightly lit for up to 14 hours. 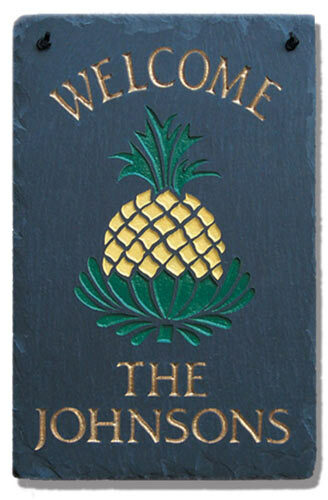 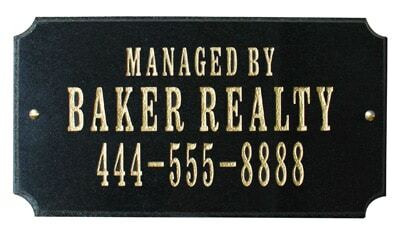 View more Rectangle Address Plaques. 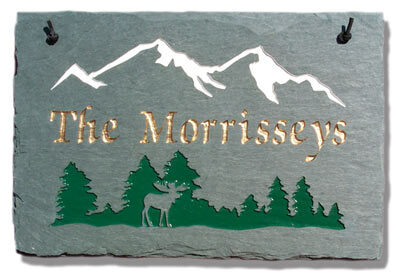 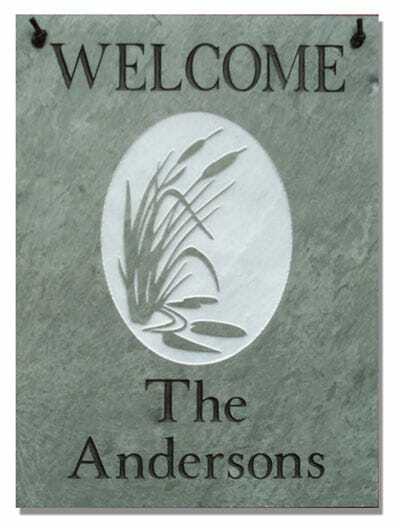 Address Plaque 7.5" 16.25" 0.325"